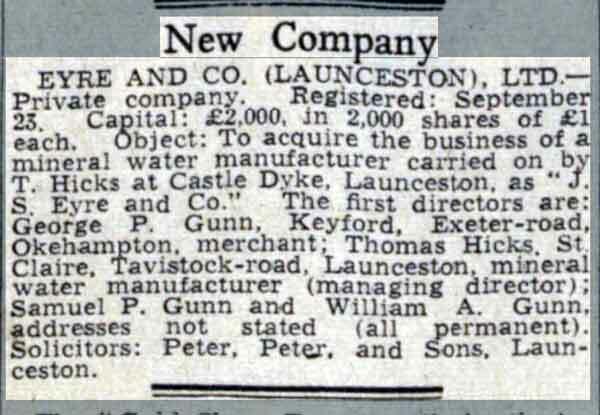 J. S. Eyre Mineral Water | Launceston Then! J. S. Eyre Mineral Water works at Castle Dyke. J.S. 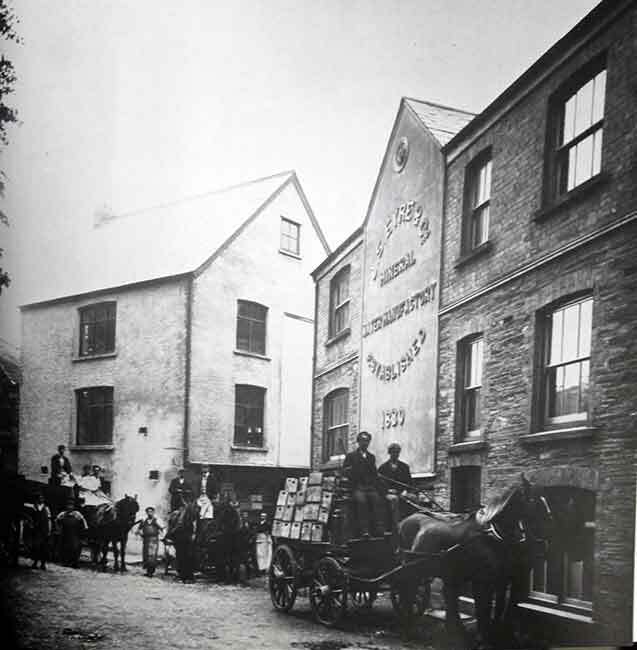 Eyre Mineral Water was started by Launceston chemist Thomas Symes Eyre who started the supply of mineral water in 1830. 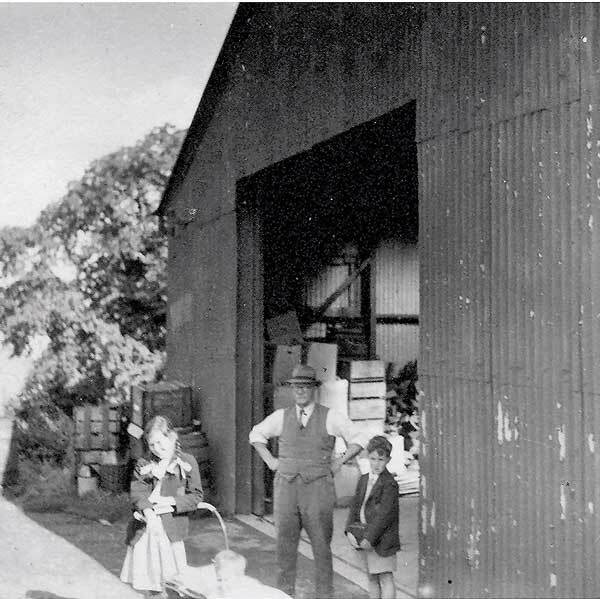 He slowly built the business up, but it was when his nephew, Jonathon Symes Eyre, joined the business that it grew to become the leading supplier of mineral water in the South West. Purpose built premises were constructed in Castle Dyke (above left). Jonathon took full control of the business on Thomas’s death in 1871. 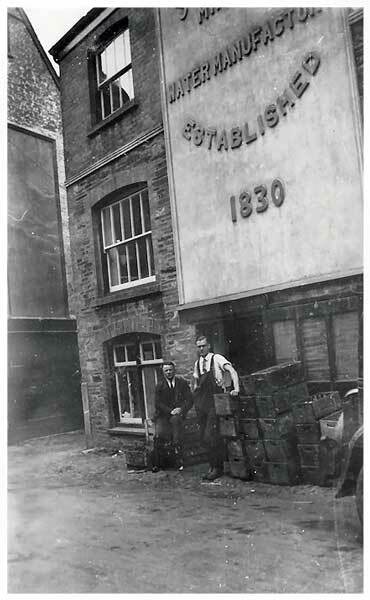 During the the late 1880’s Jonathon sold the business to John Geake and his tow sons, John junior and William and moved with his family to Croydon. The Geake brothers, lived at Millways, St. Stephens. John junior had married Jeanie Ching, daughter of John Ching. They had one son, Lawrence, who sadly was killed during the first world war. 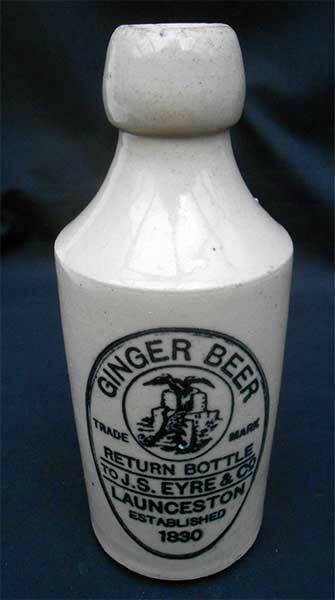 It is with the Geake brothers that the business began to diversify, by adding soda and ginger beer to their products. By this time, the works were now a major employer for the town. William Geake died at his home May Cottage, Launceston on January 17th, 1931. He died intestate and as his brother John was the only living relation, he inherited the full estate of £16,800. John Geake junior died in 1932 and the business continued to be run by family members until it was sold to George, Samuel, and William Gunn, and Thomas Hicks for £2,000 in September 1938. 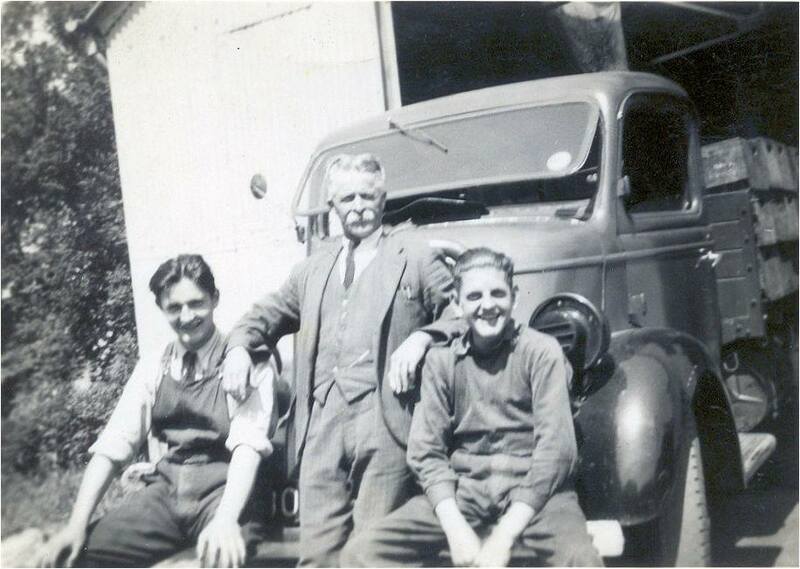 They continued to run the business from Castle Dyke until just after the 2nd world war when it was moved to new premises at Bounsalls Lane, Launceston (seen below right with Thomas Hicks and his three grandchildren in the 1950’s. Photo’s courtesy of Chris Hicks). 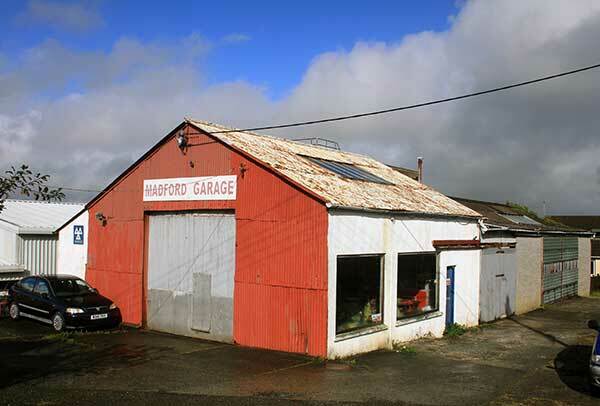 Broads Garage, Bounsalls Lane in 2014.